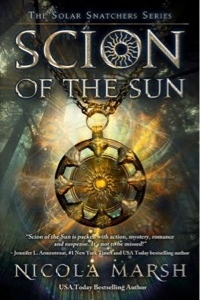 My imagination takes me to some wild places, so when Holly in SCION OF THE SUN discovered she can teleport with the aid of the sun, it didn’t surprise me. Considering my busy writing schedule and manic life, I would teleport to a cozy day spa packed with soft sofas to snuggle into it, copious chocolate on hand, cabana boys to serve me and a library packed with fabulous books! Maybe books are my teleportation device. I know whenever I open the pages of a fabulous book I’ll be transported to another world. The perfect escapism.Without the motion sickness teleportation would surely give me! So if you could teleport anywhere in the world, where would it be? And why? Hawaii. Because I love the island atmosphere. And they film Hawaii 5-0 there. So I might get to hang out with my fave celebrity crush, Alex O’Loughlin. 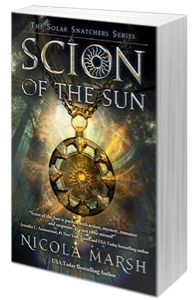 Click here for reviews, interviews, and guest posts from other awesome blogs on the Scion of the Sun tour!